A new report by the UK's Science and Technology Committee is urging the government to consider the impact of robotics and AI on the country's workforce. 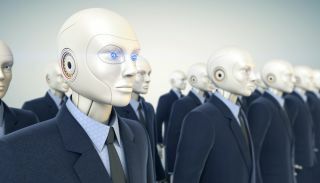 According to a new report by the UK's Science and Technology Committee, the government needs to address how robotics and artificial intelligence (AI) will affect the job market in order to prevent the risk of millions of employees being left jobless. Earlier this year, the committee launched an inquiry into the UK's adoption of AI and came to the conclusion that the government does not have a clear strategy in place to take full advantage of AI and robotics for the country's economic benefit. The committee is urging the government to begin to tackle the social and ethical problems that could arise due to the adoption of robotics on a large scale. It also urged the government to create a commission responsible for exploring the potential problems that could occur from the implementation of AI. The UK firm DeepMind, which is owned by Google, has been consulted by the committee regarding the future of robotics and AI. The firm revealed its stance on these issues in a written submission to the committee, saying: “The impact of AI will reflect the values of those who build it. AI is a tool that we humans will design, control and direct. It is up to us all to direct that tool towards the common good. Since we cannot yet foresee exactly how these changes will play out, we must respond with a readiness to re-skill and up-skill.